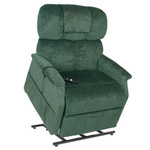 Rent to Own NEW Standard & Luxury Hospital Beds, Lift Chairs! NATIONWIDE! BMS Buys New Equipment, Rents It, then Sells it as Used! 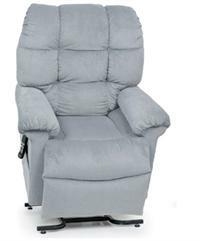 Used Lift Chairs, Hospital Beds are in Excellent Condition! BMS Sells "Used" Luxury Hospital Beds & Lift Chairs - Nation Wide! "I value your trust and my reputation more than profit from a sale"
Rent to Own or Rent NEW Equipment! All of BMS's standard full and semi electric hospital beds head and foot raise and lower electrically. Both hospital beds raise and lower; the the full electrically and semi mechanically with a crank. FlexaBed luxury hospital beds have all of the functionality of af a standard bed but with a thicker, wider and more comfortable mattress. It comes in semi and full electric twin, full, queen and king sizes. I believe BMS is the only business in the nation that rents luxury hospital beds! Bariatric hospital beds are completely full electric, wider (> 42" > 48" ) and reinforced to accommodate weight limits that start 400 lbs and higher. They usually require special considerations for shipping and during assembly. BMS luxury mattresses are made by FlexaBed have quilted pad tops and come in innerspring, visco innerspring, visco core and latex. Bar iatric mattresses are 10" thick and made of high density foam. Weight limits accommodate 600 lbs. These mattresses offer comfort, therapeutic, and durability for the Bariatric client. They also meet 16 CFR 1633 requirements. BMS standard hospital mattresses are 7"x35"x80" and made of high density foam. These mattresses offer comfort, therapeutic, and durability for the Bariatric client. They also meet 16 CFR 1633 requirements. Q. What type of scooters are available for rent? 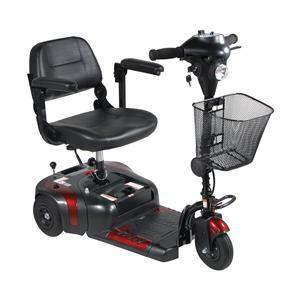 A. Bradford Medical Supply offers daily, 1/2 day and hourly rentals of 3 or 4 wheel, battery operated electric scooters, manual wheelchairs and transport chairs whose sizes will be tailored to the individual client. Q. Where is BMS located at different events? A. BMS is generally located near the entrance of the event. For the exact location, please call 877 580-5757 prior to your arrival. Q. What are your operating hours? A. BMS opens at 9 am and close at 5 pm on Weekdays and Saturdays. Sundays we open at 9 am and close around 3 pm. Q. 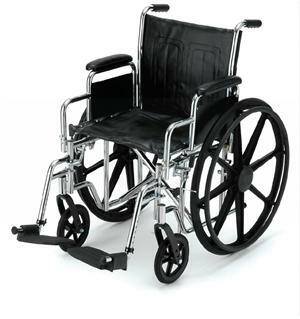 What is required to rent a mobility unit from BMS at an event? A. For a cash rental a $250 deposit on your credit card, you must pay the rental fee in advance and leave a valid driver's license with BMS until the unit is returned. Credit card rentals require that you must leave a valid driver's license with BMS until the unit is returned. Credit cards will be charged at the time the unit is rented. NO REFUNDS! ALL RENTAL SALES ARE FINAL!. NO EXCEPTIONS! The licensee's card will be debited at the time the reservation is made. Q. If I reserve a unit, do I have to pick it up at a certain time? A. Yes, all reserved unit must be picked up by 10 am. Units not picked up by 10 a.m. may be rented to other clients and you will forfeit 50% of the total reserved. Q. What type of payments do you accept? A. Visa, MasterCard, American Express, Cash.